I don't know if the poor weather is all over the UK or just the East of England? I'm not really into watching the news as it's always doom and gloom! By June I've normally got the self tan out and am channeling my inner 'bronzed goddess' (hehe), however this year I'm quite late in getting my tan on! Today, while writing this post it's glorious and sunny outside although I was told by a client we're in for some stormy weather tomorrow. So you can see why I'm still pale! 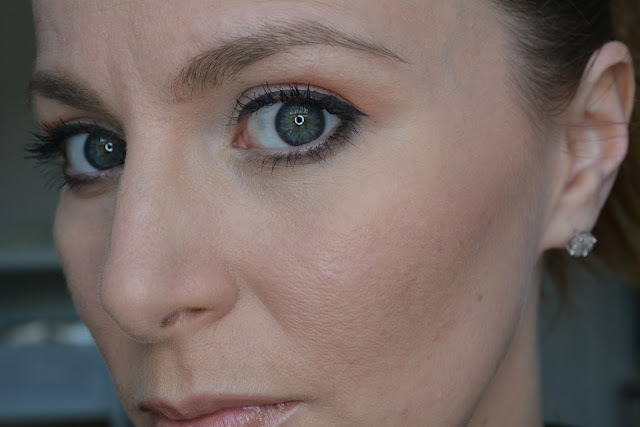 Now today's post is a little makeup look. 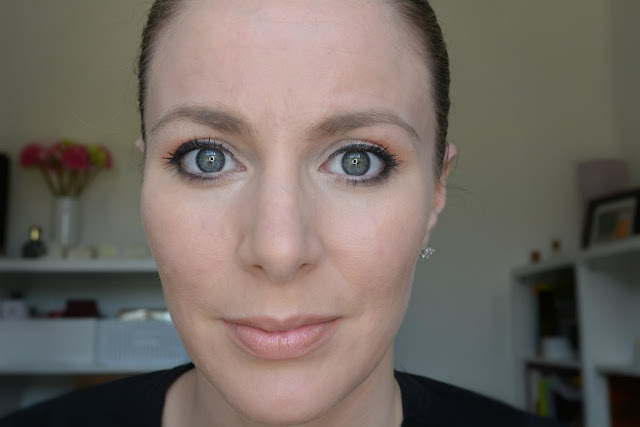 I started to clean out my makeup draw earlier this week and ended up playing makeup instead. 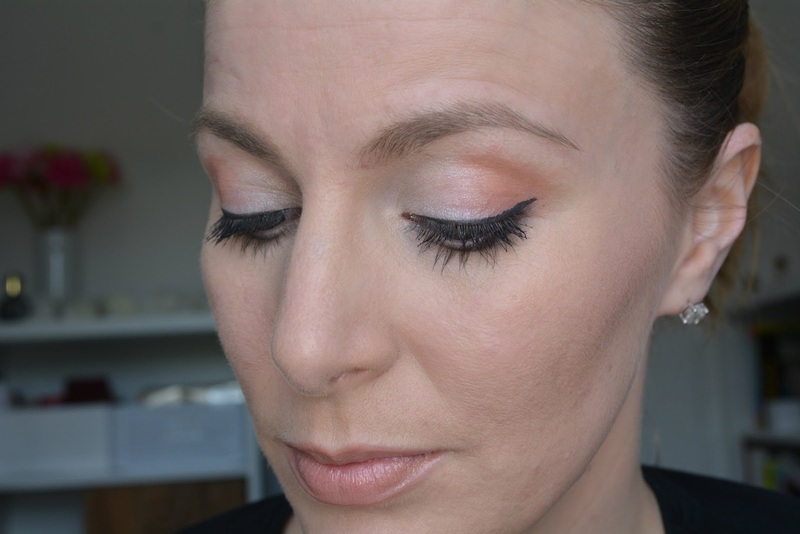 Listed below the products I used to create this 'Peachy' eye makeup look, some have links to previous reviews I've done. Very subtle and clean, I like it :-) And don't worry about that complexion, I am still pretty pale too.